It’s easy to get stuck in a rut when choosing color schemes for your home. Neutrals can take over if you’re not careful. Don’t get me wrong; neutrals are lovely and bring that warm and cozy feel to a home. But choosing a new color for a carpet, rug, wall or accent piece can be a lot of fun. And selecting something a little unexpected can add a pop of energy and intrigue to a room. This year, lavender is making its way to the top of the list as an out-of-the-box, surprisingly versatile color. Sure, lavender comes in the shade of its namesake flower, but it also appears in many other hues, ranging from pale pinkish to deeper, purple tones, appealing to both feminine and masculine sides. Technically, lavender is a mixture of reds and blues, resulting in a pale purple with a bluish tinge. Lighter, bluer shades can appear almost grey, while deeper tones lean more towards blue, hence the masculine appeal. You’ll see lavender shades often described as Lilac, Amethyst, Orchard, Berry, and even Grape, but look further than the name. 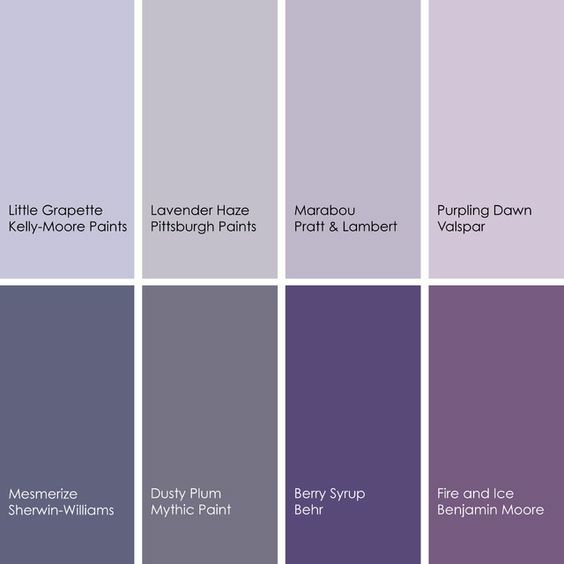 Here’s a great example of the lavender range as depicted by several popular paint brands. As a soft flooring option, lavender is surprisingly versatile, and can serve as a neutral. Don’t picture pink or purple carpeting, but rather more towards mauve, eggplant and blue-grey tones, like the swatches shown below. If a lavender wall-to-wall carpet is too much color for you, customize into a smaller cut and bound rug, for just the right amount of color for your taste. Lavender colored walls, like the medicinal flower, can be calming as well as beautiful. Choosing the right shade can bring new life to your existing furnishings and create a completely different style with one (or two) quick coats! with pastels, rich colors and natural woods. Tone it down and pair with blues and greys, or play it up as the centerpiece in the room. For smaller surface areas, choose bolder lavender for an artsy, yet sophisticated look. 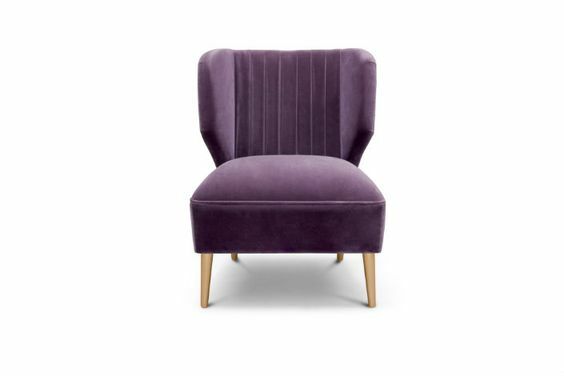 Deep purple hues make a statement in accent chairs, lighting, frames and more. Dark lavender picture frames in a distressed wood create a charming, southern cottage look. A bold-colored single accent chair, shown in Lavender Herb, makes a corner suddenly chic. Add a hint of color to a rustic farmhouse or urban décor. Break out of the neutral rut and experiment with lavender to craft colorful creations of your own!